Home » Science » Stay Tuned: Has NASA found Life in Space? Stay Tuned: Has NASA found Life in Space? The new findings come from both the agency’s Cassini spacecraft and the Hubble Space Telescope. And they will be revealed at around 2pm on Thursday at the event at the James Webb Auditorium at Nasa Headquarters in Washington. Nasa also revealed that a number of experts from across the country are set to participate – including several members of the Cassini team. 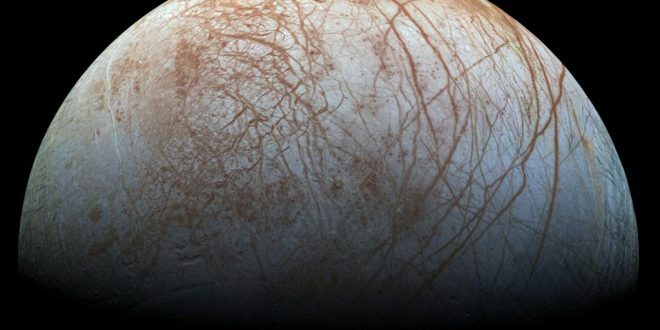 The list of people involved in the announcement has raised speculation that it could be about Jupiter’s sixth-closest moon Europa, ahead of the 2020 Europa Clipper mission. Others believe it may be about Enceladus, the sixth-largest moon of Saturn. Although nobody, other than those involved, has clear answers about what the conference will reveal – it’s not long until we find out!